This concert culminates our 39th annual National Conductors’ Symposium. Jon Washburn and five Symposium conductors will concentrate on music by Bach, Monteverdi, Handel, Mozart, Beethoven, Haydn, Brahms, Willan, Wagner, Raminsh, Poulenc and Orff with music drawn from famous Passions, Oratorios, Masses, Requiems and Operas. 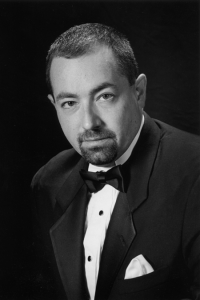 Pianist Stephen Smith and the Choir’s many fine soloists get ample opportunity to shine, too!